Programs are helping everyone from hopeful food entrepreneurs to the city’s ambitious students develop their ideas. While some investors are jumping into socially responsible projects. 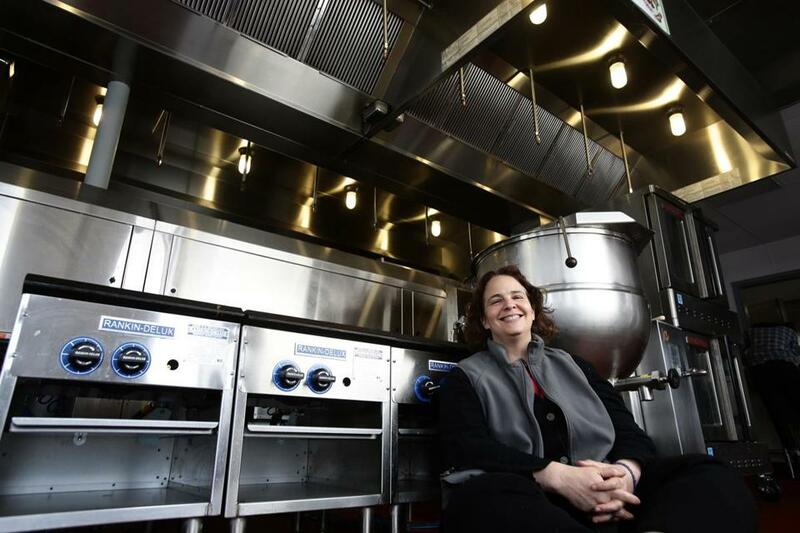 Jen Faigel leads CommonWealth Kitchen, an incubator for food entrepreneurs in Jamaica Plain. Everyone wants to turn his or her prized salsa recipe into a business these days, but that takes the kind of space, industrial equipment, and know-how that most budding food entrepreneurs can’t afford. That’s where CommonWealth Kitchen, formerly known as CropCircle Kitchen and led by Jen Faigel, comes in. The Jamaica Plain incubator opened a 10,000-square-foot space in Dorchester last year, offering the growing ranks of cookie bakers and meal-kit preparers a fully equipped kitchen, as well as business advice, refrigeration space, and line cooks — all for around $35 an hour. More than 100 startups have come through the kitchen. They’re an impressive group, from Clover Food Lab, the popular vegetarian food truck and restaurant business, to Lyndigo Spice, a chutney operation owned by a Boston police officer that made it onto the shelves at Whole Foods in just three months. This venture capital firm doesn’t just fund good ideas. it launches them, too. 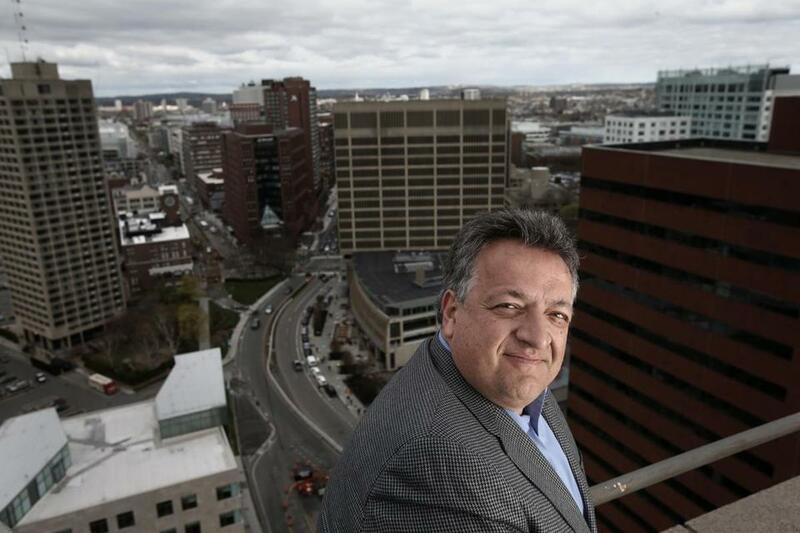 Noubar Afeyan, who leads Flagship Ventures, gets energized by naysayers. Flagship Ventures is a venture capital firm that doesn’t just invest in businesses. Sometimes it builds them from scratch. Flagship, which started 15 years ago, has grown into a juggernaut for startups and IPOs in the fields of life science and sustainable energy. The Cambridge firm run by MIT-trained biochemical engineer Noubar Afeyan has seen eight of its companies go public in the past two years. Those businesses, worth nearly $13 billion, include companies working on new classes of drugs, such as Moderna Therapeutics and Seres Health, and Joule Unlimited Technologies, which turns carbon dioxide into an alternative fuel. Flagship is unusual among venture capital firms in that it operates both a traditional investing business and its VentureLabs group, where scientists dream up new ideas, put them through a rigorous vetting process with outside experts, and develop — or abandon — them over time. “We don’t want to play in incremental innovation,’’ Afeyan says. Nor does he care for the idea of propping up startups that sputter along, short of capital and at high risk of failure. Among the things he has learned over time is to embrace criticism as a way of doing business, he says, instead of going far down the path with ill-conceived projects. Flagship’s VentureLabs has founded 30 companies. Its investment arm has backed another 50. The firm employs about 40 people and recently raised its fifth venture fund, attracting $537 million. George Overholser has always been a data geek. As an analyst for HBO, he determined which movies to run and at what times. He helped launch Capital One, figuring out how to use data and modeling to offer credit cards quickly and safely. Now Overholser, the founder of nonprofit Third Sector Capital Partners, is betting that data will help make a difference solving some of the most intractable social problems, from juvenile delinquency to homelessness. Overholser and his firm are leading advocates for pay-for-success programs and help match funders and do-good organizations. Through this alternative financing method, philanthropists and investment firms, such as Goldman Sachs, invest upfront in social-welfare programs. If the data show the programs are successful and save money, governments repay the investment with a small return. Third Sector is involved in the Massachusetts pay-for-success program to keep young men out of jail. The program, launched last year, was the first of its kind in the nation. Roca, a Chelsea nonprofit, will try to help 929 troubled youth and aims to reduce the days that released offenders spend back in jail by about 40 percent. The funders are providing $16.1 million in loans and grants. The Roca deal is in the second year of its seven-year contract, still too soon to tell if it will meet its goals. But Overholser and Third Sector officials are hopeful. Interest is growing, and Third Sector is now engaged in more than 30 projects nationwide, vetting the possibility of pay-for-success. State Street’s investment arm made it easier for pension funds and other big money managers to put a little more “green” in their portfolios last year. State Street Global Advisors launched its new “Low Carbon” ETF, or exchange traded fund, designed for large investors that want less exposure to oil and polluting industries but can’t ignore entire parts of the stock market and still need to meet investment goals. The new SSGA fund oversees $94 million so far, including money from a United Nations pension fund. It sticks close to major indexes, but favors lower-emission stocks and avoids those with big fossil-fuel reserves. 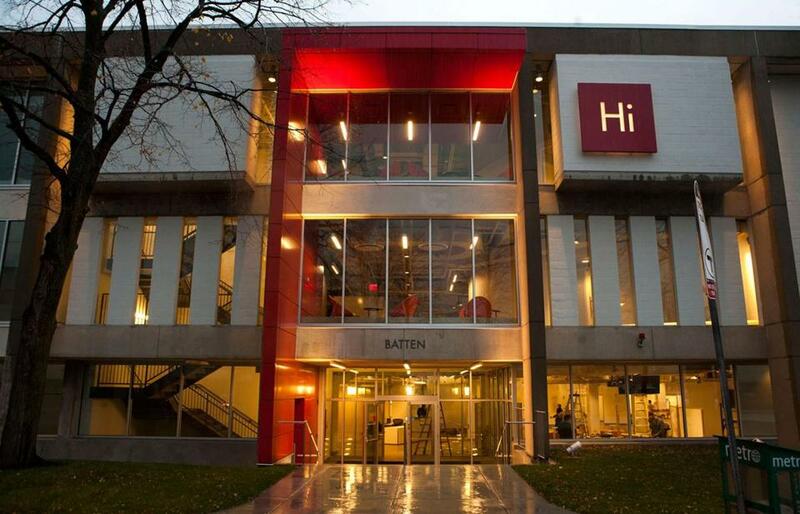 The Harvard Innovation Lab sits in Allston. Harvard University is a big place, where students studying law, politics, and chemistry might never cross paths. But they do at the Harvard Innovation Lab, an Allston center that’s open to startup companies run by students from every school and department at the university. Fully formed ideas are not a prerequisite. The i-lab offers basic entrepreneurship classes and workshops with experienced professionals in various fields, plus coding boot camps, hackathons, and educational trips to Silicon Valley. A new space called Launch Lab, for entrepreneurs who’ve already earned their Harvard degrees, opened last fall and quickly became so popular that director Jodi Goldstein plans to nearly triple the space to 8,500 square feet by the end of the summer. There are plenty of communal work spaces for startups in the Boston area, but not many come with the perks of a major research university. In the Venture Development Center at the University of Massachusetts Boston, fledgling companies can use the school’s resources — everything from high-performance computer systems to lab rats — and partner with academic researchers. Of course, the center comes with standard incubator fare, too: mentoring, networking, and free coffee. The combination is beginning to draw an international crowd. Last year, the VDC welcomed the first two participants in its Global Entrepreneur-in-Residence program, which helps startup founders from foreign countries secure visas to stay in United States after earning degrees here.